Flood control, at its most basic level, consists of either providing the ability to remove excess water from flood-prone areas during storm events or providing adequate storage space for excess water during periods of heavy rain. The first approach uses large pumping stations to evacuate extra water. 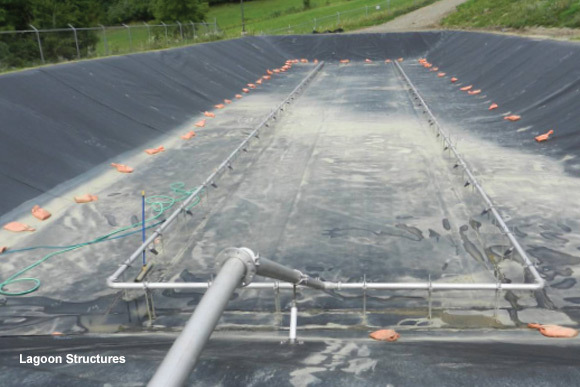 The second approach uses canals, dykes, levees, large water mains and other approaches to keep water contained until it can be naturally released. As waters rise in these structures, many discharge lines that are normally well above the water levee can suddenly find themselves deeply submerged. For this reason, it is important to protect all discharge line in a flood control basin with reliable backflow prevention. Due to their exposed location and long periods of activity, a check valve must not be prone to rust, corrosion or clogging. Metal flapgates suffer all of these maladies and are easily propped open, rendering them inoperative in times of need. 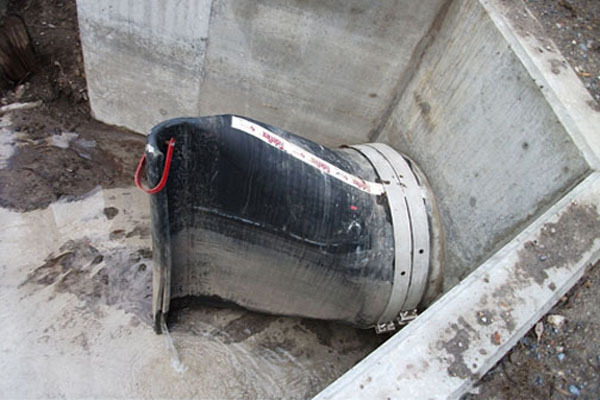 Stormwater can also contain large debris that would render a flapper valve useless. Tideflex® Check Valves meet flood control needs perfectly because of their low headloss, 100% rubber construction and patented design. Available in sizes up to 96", Tideflex® Check Valves are the best available technology for backflow prevention in flood control systems.